for $559,000. The lot size is 182 X 231 X 150 X 150. 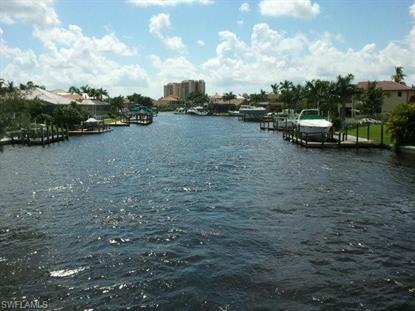 This is the MOST SOUGHT AFTER boating community in Cape Coral just feet from Tarpon Point Marina & The Westin but without the HOA fees. Direct Saltwater access no bridge or lock restrictions! Minutes to open water that leads to world class fishing, white sandy beaches, Sanibel Island, Fort Myers Beach & EVERYTHING that beautiful SW FL has to offer! This is one of the last large lots big enough to build a home of Ultimate luxury on. Almost 3/4 of an acre to build on. Seawall is already in. Property information provided courtesy of the Internet Exchange Program of the Multiple Listing Service of Greater Fort Myers and Beach, Inc.